Spring 2016 saw an epic adventure to the southern hemisphere . 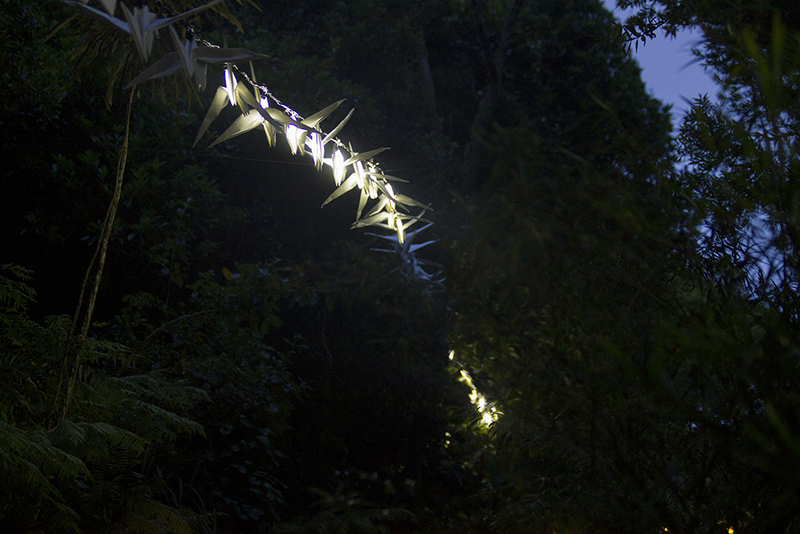 We followed a shipping container full of installations to re-create a new version of ‘For The Birds‘ in Wellington for New Zealand Festival. 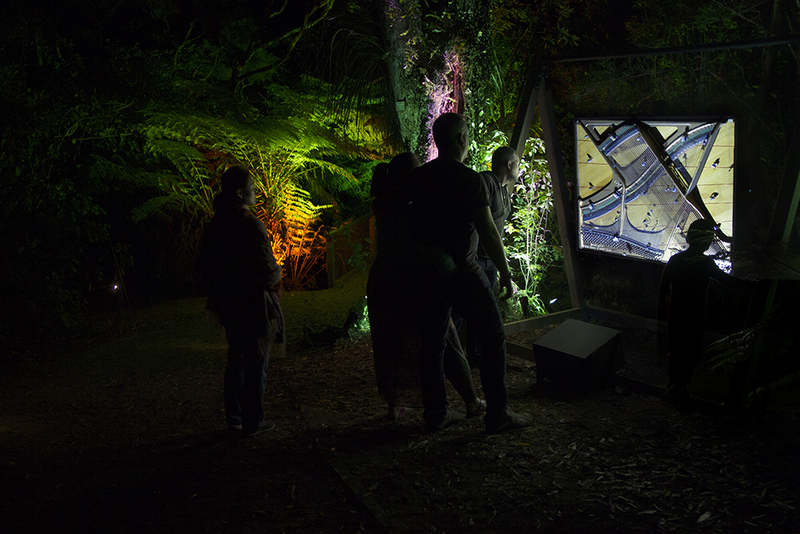 Otari Wilton’s Bush provided a stunning location for the show, which attracted over 14000 visitors over the 2 week run. 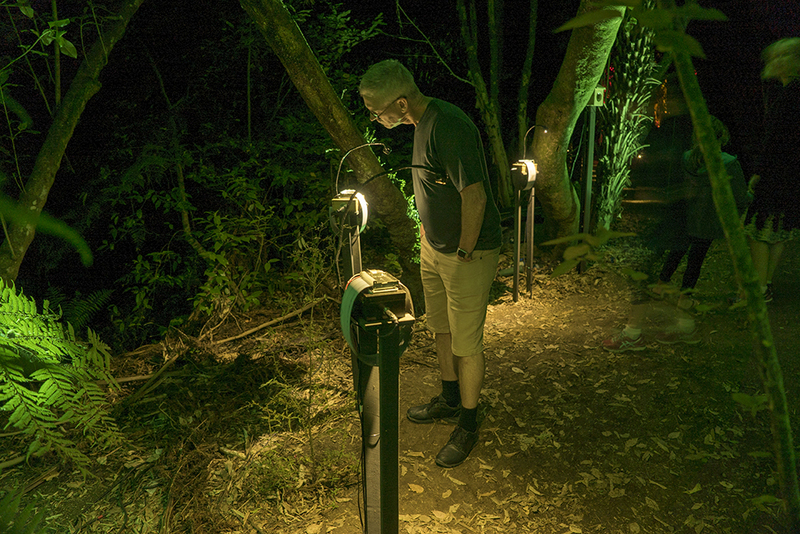 A night time walk through a sonic, visual, and sculptural installations paid homage to many aspects of birdlife showcasing works by UK artists Kathy Hinde, Jony Easterby, Mark Anderson and local artists Marcus Mcshane with Tane Upjohn-Beatson and Johann Nortje with Cameron May. 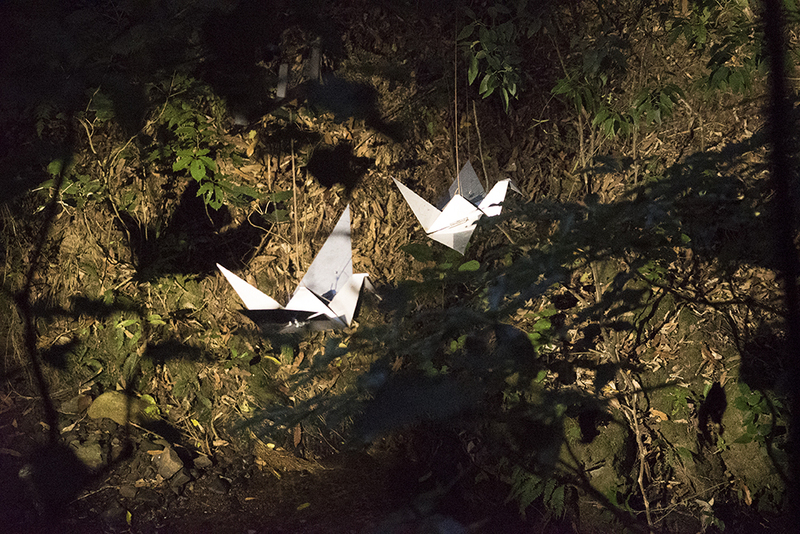 The trail of 30 installations were brought together across the site with creative lighting and projections by Ulf Pedersen and Esther Tew. 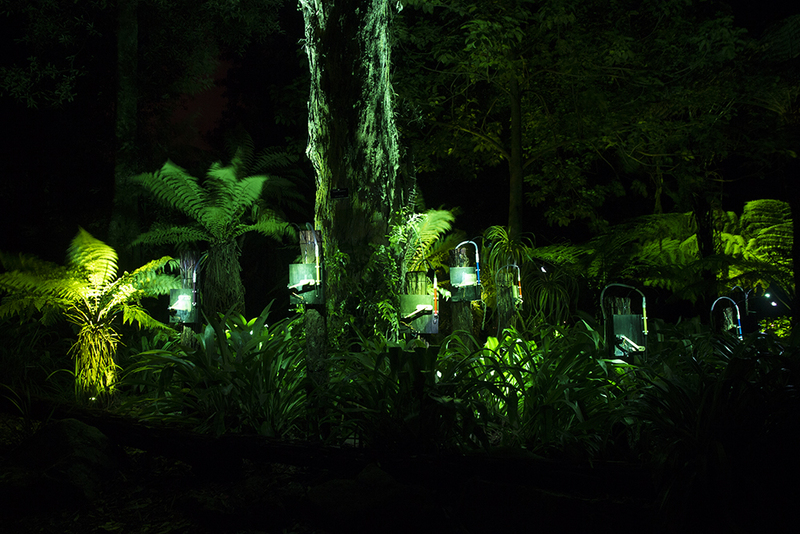 Twittering Machine – Mechanised toy swanee whistles twitch and flutter – imitating birdsong inspired by the beautiful songbird and imitator, the Tui, native to New Zealand. Music Box Migrations – Images of birds are transformed into scores for winding music boxes, which are then echoed with variations through live sampling software by Matthew Olden. More info on this piece here. 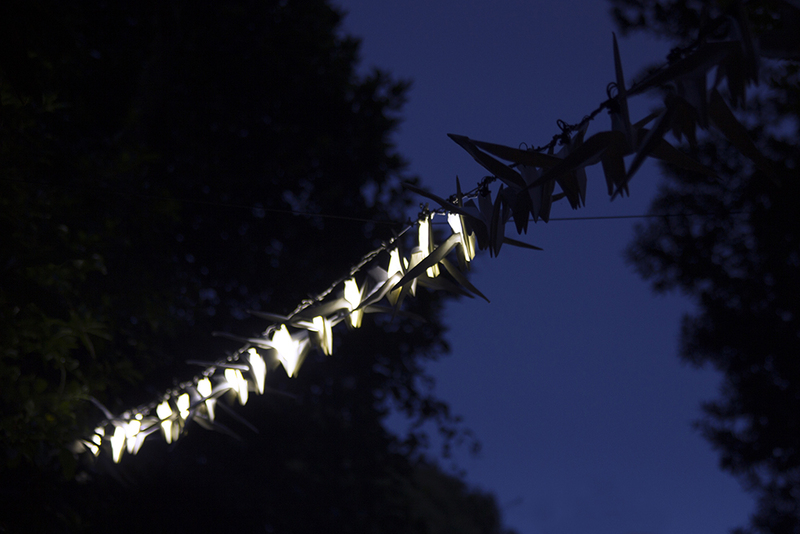 Metal Origami Birds – 15 Metallic origami cranes make their flight through the trees accompanied by recordings of 10 000 Cranes on their migratory route. 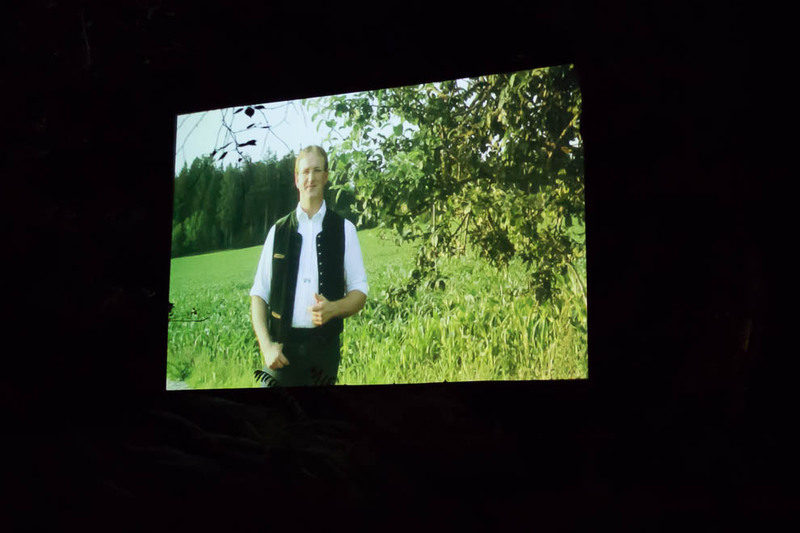 Vogelstimmenimitator – Virtuoso Bavarian bird imitator, Helmut Wolfertstetter, performs a range of birdsongs, on video. The Cello and the Nightingale – In 1924 Beatrice Harrison played cello with nightingales in her garden live on BBC radio. 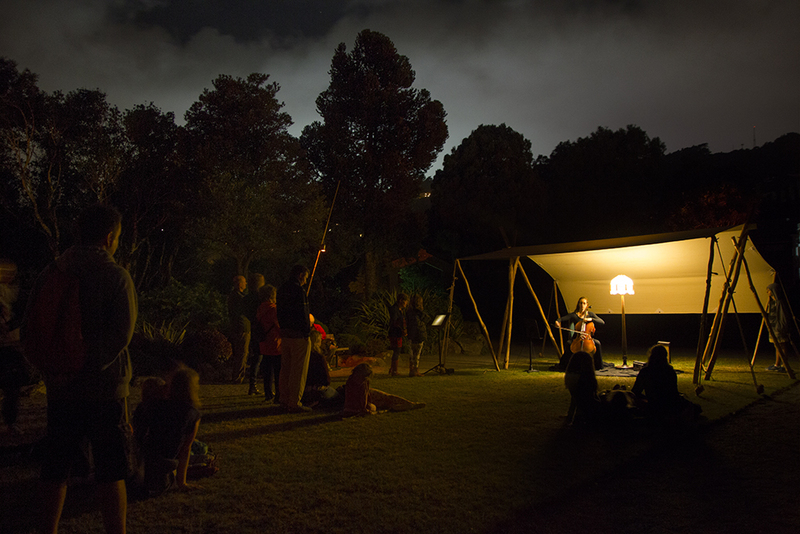 Cellist, Elena Morgan, performs the same music with nightingales recorded during that time in her garden playing on an old gramophone. This piece comments on the dramatic drop in the Nightingale population. 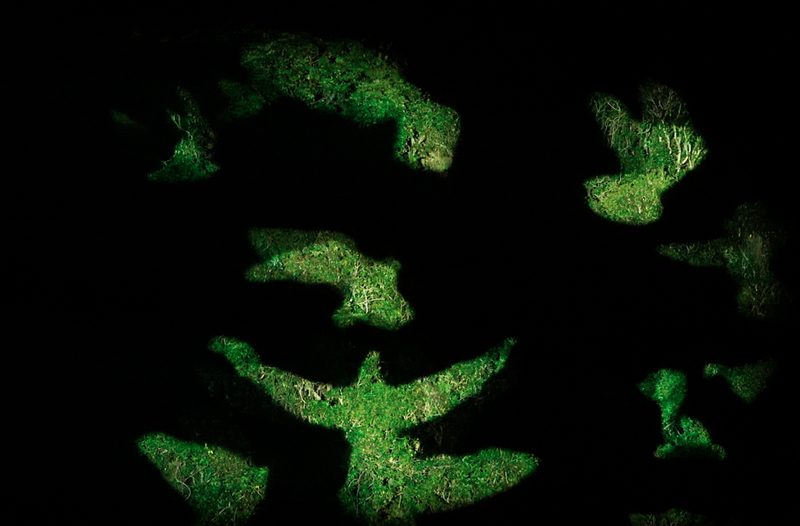 White Birds – a huge projection that looks abstract until viewed straight on. White silhouettes of birds flocking and taking off illuminate the trees. 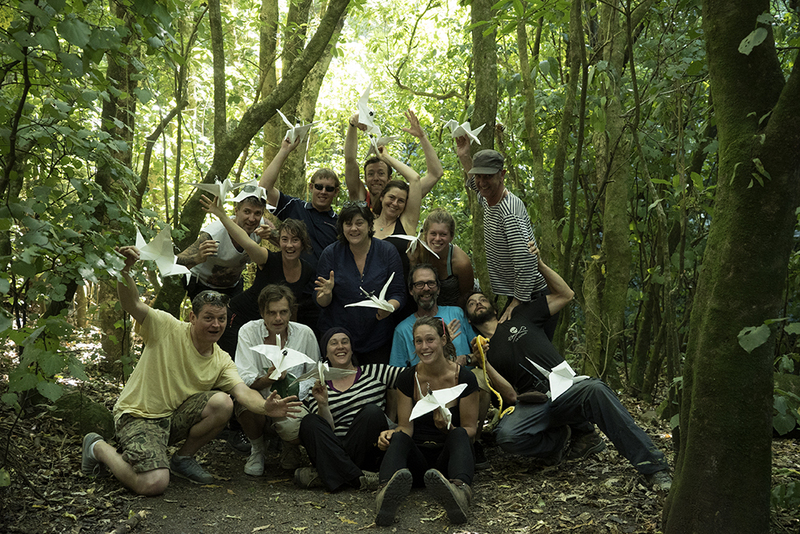 The “For The Birds” crew! 20 May, 2016 | Filed under News.